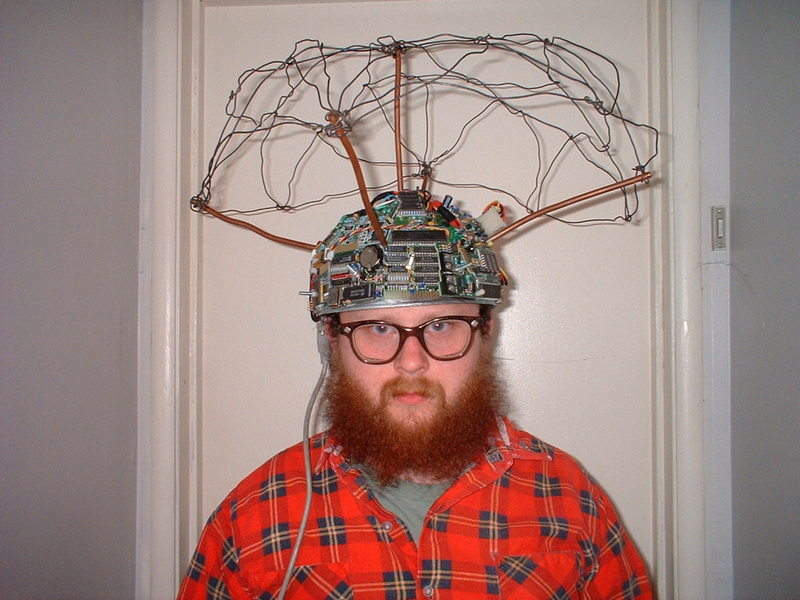 Brain-to-brain interface – but what is being transmitted? There have been a couple of demonstrations of brain-to-brain interfaces before, and I’ve written about one of the previous papers in Finnish. The idea of BBI is that information about one participant’s brain state is read (typically using EEG), and then the brain state of another participant is manipulated, typically using TMS. At least in the press, these demonstrations are often termed as “telepathy” or “mind-reading”, and illustrated by images from Star Trek, X-Men or just people in tinfoil hats. Often the implications of these studies is posed as a question: will we soon be able to communicate with each other directly, without language? Will all our brains be connected together to form a giant common consciousness? White matter tracts seen from below – colour-coding shows the direction of fibre tracts. Figure from the Human Connectome Project gallery by LONI / UCLA & Martinos Center of Biomedical Imaging / MGH. The BBC ran a story today on the Human Connectome Project. The story features a set of colorful pictures, which represent some of the first results of the massively ambitious, $40M endeavor to map the human connectome. The BBC article has the pretty pictures, while a recent advertorial* in Science has a bit more of the technical detail. The Connectome Project attempts to map the neural connections in the human brain; the connectome (cf. genome) is unique for everyone, a result of genetic and environmental factors, as well as what we’ve learned and experienced in life.